Don't use wine-devel 3.4 it does not work I had same issue yesterday installed it I was having same error as you also non of other wine setups that I had on different directories were working with wine-devel installed so I purged wine-devel and remove any prefixes folders from home then rebooted system and finally setup wine from directory with thanks for @Shmerl scripts I slightly modified for my needs and now I can run cube.exe 32bit and 64bit version without any issue. Yes, all these issues are likely wine versions confusion, messing up the prefix. Quote Don't use wine-devel 3.4 it does not work I had same issue yesterday installed it I was having same error as you also non of other wine setups that I had on different directories were working with wine-devel installed so I purged wine-devel and remove any prefixes folders from home then rebooted system and finally setup wine from directory with thanks for @Shmerl scripts I slightly modified for my needs and now I can run cube.exe 32bit and 64bit version without any issue. You don't use wine-devel 3.4 from depot and compil wine 3.4 or wine-vulkan ? for those guys which have troubles with wine vulkan, please check if you have other vulkan drivers in addition to the nvidia one on your systems. 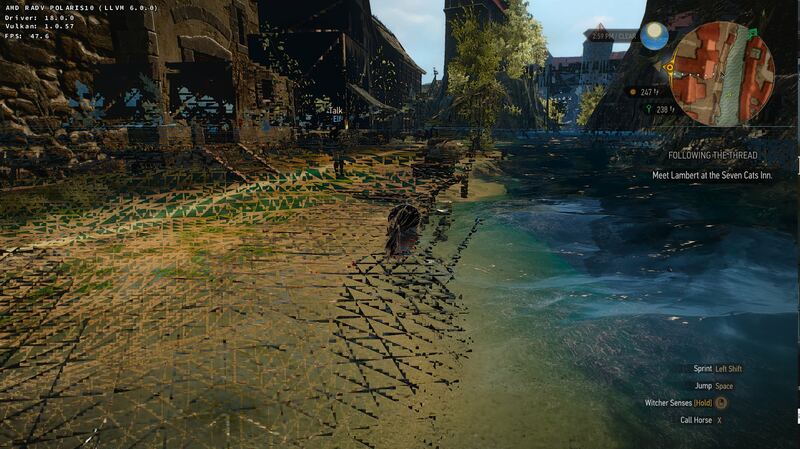 I had the problem in the past that wine-vulkan did not work on my system with a nvidia card until i uninstalled the intel and amd vulkan drivers (libvulkan_intel.so / libvulkan_radeon.so). In theory this should not cause issues but it does, roderickc confirmed that. 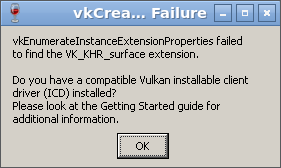 If that's the case, you can explicitly set the variable to point to the correct Vulkan driver. sebish You don't use wine-devel 3.4 from depot and compil wine 3.4 or wine-vulkan ? I'm using wine-stagging tar from lutris and installed wine deps of both arch. any idea whats happening here? Thanks for the hint, mesa 18-rc5 (just released) does work as well. There is an other problem using dxvk, if I set the resolution to 1080p (1440p screen), I get a border less 1080p window instead full screen.